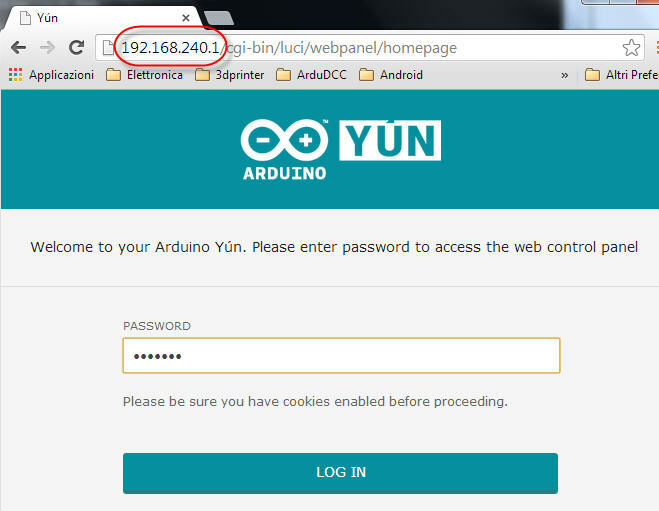 Starting with this post, you’ll find on my website a tutorial about the new Arduino Yun: I’m going to blog about my experiments with that board and show its features through real examples… today you’ll learn how to connect it to your wifi network! 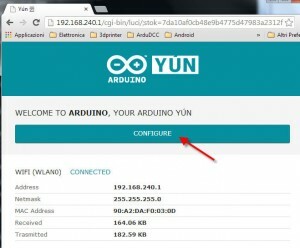 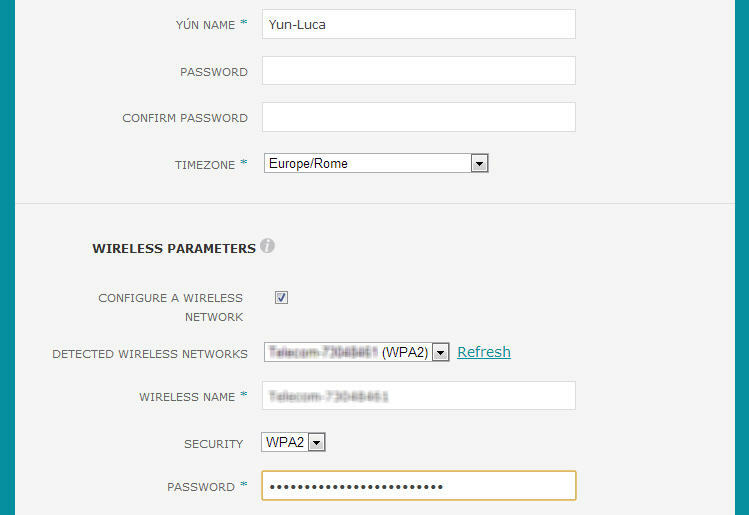 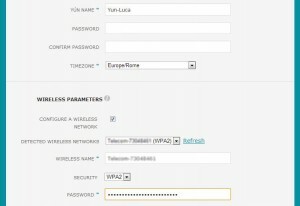 One of the most useful features Arduino Yun has is the ability to connect to wired (Ethernet) or wireless networks without the needing of an external shield. 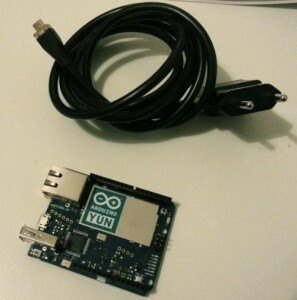 After a reboot, the board will be connected to your network! 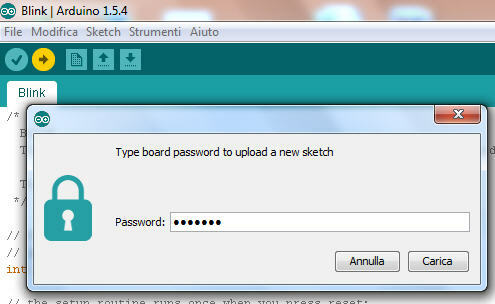 Now you can use a new feature of Arduino Yun: the ability to upload a sketch using the network, without the needing to connect the board to your PC using a USB cable. 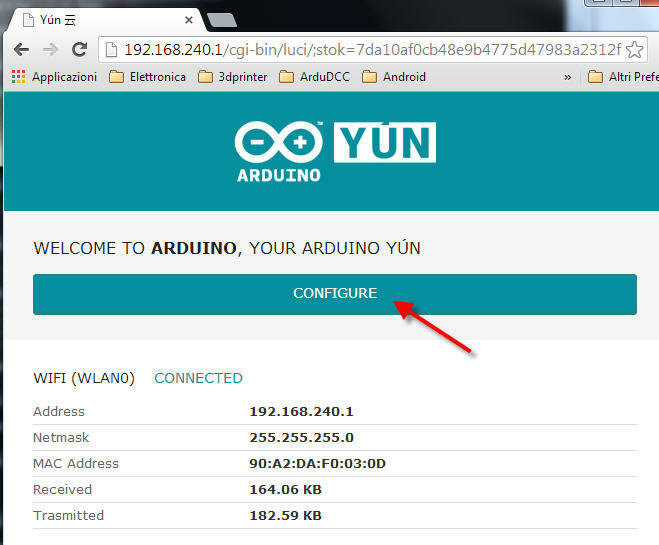 Open the IDE (warning: you must download the latest version, at the moment I’m writing 1.5.4r2) and choose Arduino Yun as your board.